A real estate website using WordPress software is one of the very best ways you can create a dynamic Internet presence. Don’t let it be too daunting, as you should make it an adventure. You see, you’re embarking on a process to take charge of your Internet future and the more you learn now and take on for yourself, the more you’ll be in charge ongoing. WordPress is very powerful, and the most valuable thing about it is that the average user, not a techie geek, can build out a marketing powerhouse with WordPress. There are certain website pages that are necessary for every site, and others that are valuable for the real estate website. Each has an informational purpose, and the content of these pages is important. Not every visitor will see every page, but they’ll locate the pages that answer their questions and you want them to be complete and informative. Home Page – the page where they arrive with your main URL, as in “http://yoursite.com. This page is the doorway into your site for most visitors, so you want it to be welcoming and offer a very clear path to every other major section of your site. About/Contact Page(s) – whether all on one page or on two, these are where you tell your visitors about your business, an overview of your services, and how to contact you via all of your contact methods. If you have a “Mission Statement,” this is where to put it. Buyer & Seller Information – normally two separate pages with -sub-pages for different services explanations, these pages would also explain things to buyers and seller focused on their different viewpoints in real estate and transactions. IDX Search Page – your WordPress real estate website simply can’t be a great lead generator if you don’t have a dynamic IDX, Internet Data Exchange, search function. Real estate brokers with years of data with years of traffic data will tell you that almost 90% of all the page views on their site are of the IDX search pages. 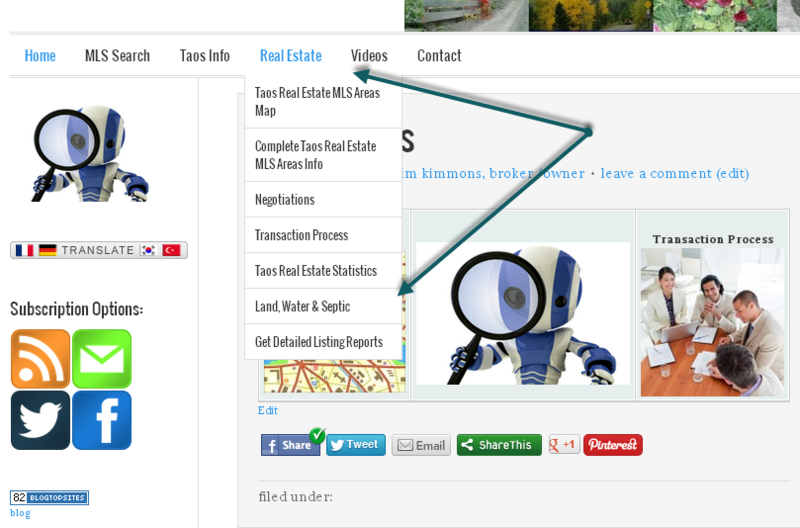 Your property search is the page that visitors will bookmark and return to over and over to do market searches. WordPress has come a long way since it began, and some of the more recent updates have added amazing features. One of those is Menus. You can selectively designate navigation buttons for your visitors in the sidebars or at the top of the pages. Top navigation is almost a “must-have,” as your visitors are used to using buttons across the top of sites to find their way around. When you’re choosing a WordPress real estate theme, don’t limit yourself to thinking your site will always be small or lack diversity. We mentioned sub-pages, so you want to choose a theme that accommodates “drop-downs” for your top navigation buttons. streamlining back-end site management, such as a plugin to automate regular backups of the WordPress databases. changing WordPress defaults for page and post display, such as a plugin to stick certain posts to the top of category pages so visitors always see that post first. improving site visitor navigation by giving the site owner better control to change the default WordPress search function to better fit the content of the site and help visitors to find what they want faster. helping site owners to schedule new content reminders with editorial calendar plugins. many amazing plugins to make images, video and audio easier to publish and much more effective in how media is displayed for visitors. mobile responsive plugins to automatically reformat the display based on the device that’s being used to visit the site. content curation plugins to help site owners to curate articles from other sites to provide news and extensive information to their visitors without having to create the content themselves. a great many plugins to add lead generation forms to sidebars, including plugins to allow the ability to display specific sidebar content on pages where it will be highly relevant and get leads, tailoring the form and offer to the page content. SEO enhancement plugins to allow site owners to do a better job of creating search engine friendly posts and pages for better positions in searches. if you’re a Diverse Solutions customer, there’s a full-featured plugin to place real estate IDX, Internet Data Exchange, search functions on your site. Very few ventures are wildly successful without a detailed plan going in. So, get your WordPress site major features figured out from the beginning and you’ll find that the leads will be filling your funnel soon.